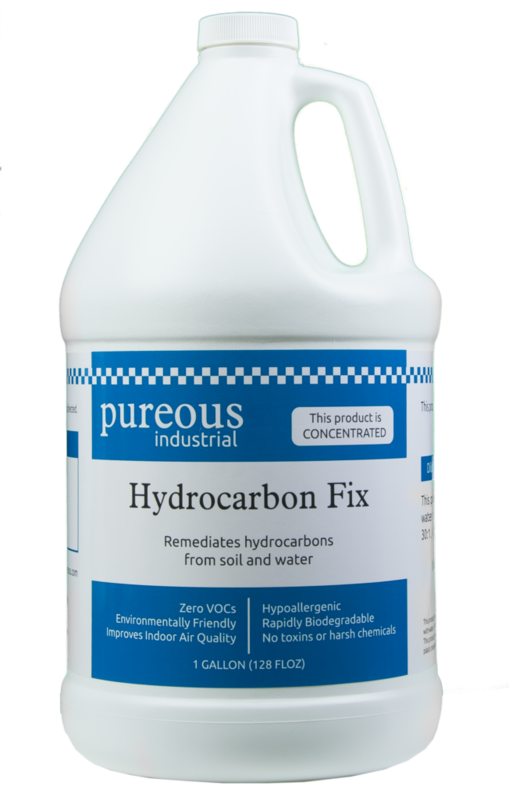 PureousTM Hydrocarbon Fix targets recent or past oil, gas, and chemical spills, and uses the latest advances in molecular modification technology to convert unwanted hydrocarbons into safe, non-polluting material that can be disposed of in an environmentally friendly fashion. PureousTM Hydrocarbon Fix uses innovative technology to help you deal with oil and fuel spills and treat acidic wastewater more quickly, more effectively, and in a more environmentally friendly manner. It is orders of magnitude safer than dispersants and works in a fraction of the time required by microbes. Microbe treatments can take anywhere from 3 months to an entire year before achieving results. In contrast, Hydrocarbon Fix users frequently report seeing a significant improvement within 7 days of application.